Comment: This sod installation project is for the front of our home. The sq ft. area has been measured to be 680 sq. ft. Comment: Needing some curbing taken care of. 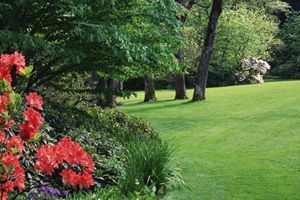 Comment: Entire lawn replaced(florastand) remove islands, replant 1 small tree, remove all curbing & rocks, small plants n frount yard around planter, replant 2 ponytail plants. Quote on lighting. Comment: I am looking to install turf around my pool area. I would need it to be "pet resistant as I have two dogs". looking to hire soon. Comment: Need dark bark nuggets in many areas around the house. At a guess, at least 10 yards. Need help in laying it down. Palm Harbor Landscaping Companies are rated 4.74 out of 5 based on 1,612 reviews of 37 pros. Not Looking for Landscaping Contractors in Palm Harbor, FL?